Established in the year 1993, we, Electrotek Static Controls Pvt Ltd, are engaged in the sphere of manufacturing and exporting a wide range of ESD Products. The range of these products includes ESD Safe Area, ESD Grounding, ESD Tapes & Labels, ESD Packaging Material, Material Handling Products, Storage Systems, ESD Test & Measuring Instruments and Clean Room Products. These are widely used in Electrical, Electronic, Pharmaceutical, Defense and IT & Telecommunication industries. 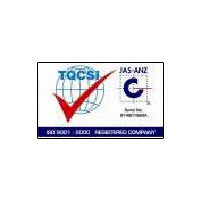 The entire range is fabricated at our ISO 9001:2000 & GMP Certified manufacturing unit that ensure optimum durability and reliability of the ESD Products. Further, these are also tested as per the SGS – ROHS Specifications that assure our clients of the credibility of the ESD Products. Our rich industrial experience allows us to develop our ESD Products with cutting edge technologies. Being a client centric organization, we have always targeted our efforts to provide maximum satisfaction to our clients. We offer complete customized solutions to our customers so that they can get the desired products fabricated from our company. Further, we have also adopted various payment modes such as Money transfer through bank, Cash and Demand Draft to ensure hassle free transaction. Our company has been founded by two young business players, Mr. Yogesh Gupta and Mr. Shankar T.K., with a vision to provide Quality ESD CONTROL & CLEANROOM PRODUCTS in India. We are the only manufacturers of ESD Products in the country. Mr. Gupta is one of the co-founder and CEO, with a degree in Electronics Engineering. He has rich industrial experience of working in the leading electronics hardware manufacturing company as Quality Head. He has also leaded numerous ESD Control awareness and Training programs in the industry. Another person who, with his business acumen has helped our company to establish as a front runner of the industry is Mr. Shankar T.K. co-founder and CEO of the company. Mr. Shankar T.K. is a qualified Engineer and has vast industry experience of the domain. He has been instrumental in taking initiatives in development of new products and leading the R&D activities at Electrotek Systems. ESD is the abbreviation for Electro static discharge that means transfer of an electrostatic charge between two objects. It is a very rapid event that happens when two objects of different potentials come into direct contact with each other. ESD is the main causes of device failures in the semiconductor industry. Many a times one can get an electric shock from certain objects and become Triboelectrical charged. It is caused by transferring of an electron from two objects coming into contact with each other and then by separating. Instead of being positively charged the effect can also be negative. Grounding is one of the most significant factors towards avoiding ESD. In the workplace, there should be only one common ground and suitable provisions made for the electrical path of charges to the ground. ESD products are widely used to prevent Electronic circuit boards and other electronic products from the Electrostatic Charge. Our company has achieved great expertise in the sphere of manufacturing a wide range of ESD Products to avoid ESD. These works on the theory of eliminating materials that has a higher tendency towards the build up of ESD in the workplace. Further, these are manufacturing using ionizers that neutralize newly generated charges and also prevents charges from building up. We offer a wide range of ESD Safe Area, ESD Grounding, ESD Tapes & Labels, ESD Packaging Material, Material Handling Products, Storage Systems, ESD Test & Measuring Instruments and Clean Room Products. These are widely used for various packaging requirements in Electrical, Electronic and Pharmaceutical industries. The entire range is manufactured at our ISO 9001:2000 & GMP Certified Company that ensure durability and reliability of these products.